Bill Zuill, Executive Director of the BNT (center) and Dorte Horsfield, Education Director (left) with the Earth Day Video competition winners. The Earth Day Student Video Competition 2017, sponsored by Marshall, Diel & Myers, engaged 75 students who submitted a total of 24 videos. 1st prize in the Primary School category went to Bermuda High School students, Lily Jones & Ella Younie, for their video titled ‘Wave Goodbye to Pollution’. Yvé Smith, Kaylah Stamper & Layla Williams of Bermuda High School won 1st prize in the Middle Years category for their video ‘Getting out into Nature’. 2nd prize in the Primary School category went to ‘Family Foods’ by Daryn Fox, Harmony Seymour & Eloise Tamine of Bermuda High School and 2nd prize in the Middle Years category was awarded to Bermuda High School students Alex Carne, Camryn Heinicke & Tàja Williams for their video ‘The Ocean around Us’. 3rd prize in Primary School category went to India Bascome, Samantha Barbosa, Bethany Gibbons and Sumayyah Ramatar of Somerset Primary School for their video ‘Getting out into the Ocean around Us’ and 3rd prize in the Middle Years category was awarded to Jada Davis, Samantha Knights & Taylor Sousa of Bermuda High School. More than 2,000 people turned out yesterday to participate in the Bermuda National Trust Palm Sunday Walk through Paget and Warwick. Walkers were able to explore areas of the parishes that are usually closed to the public as part of the annual five-mile walk. This year’s event, which was sponsored by Sompo International, began and ended at the Bermuda College — with participants guided along a course that passed Elbow Beach, Coral Beach and Tennis Club, Alfred Blackburn Nature Reserve, Billy Goat Hill, the Poorhouse on Spring Road, Warwick Academy, Ship’s Inn, Salt Kettle, and the historic buildings of Bamboo Gate, Beverley and Horizons. Left to right: The Governor, Mr John Rankin CMG, William White, President of the Bermuda National Trust and Bill Zuill, Executive Director of the Bermuda National Trust. More than 285 children, teachers, camp leaders and parents had a whale of a time when they flocked to Spittal Pond to learn about Bermuda's environment and history through the Bermuda National Trust's annual Children's Nature Walk. Many of the schoolchildren had the added experience of seeing - often for the first time in their lives - humpback whales breaching and playing off the South Shore in Smith's Parish. Taking in the sights of one of Bermuda’s most spectacular open spaces, walkers experienced nature firsthand with help from BNT volunteer guides and an inspiring group of Bermuda College Environmental Science students. Local experts Peter Drew, Amy Harvey, Claire Grenfell, Karen Border, Erich Hetzel, Janice Hetzel and the Trust’s Conservation Officer, Lawrence Doughty were on hand to share their knowledge on nature reserve management, migratory birds, pond biology and plant species. Children and adults alike discovered local cultural and historical tales from Bermudian artist Ronnie Chameau and the Trust’s Museums Manager Rohan Shastri and learned about the varied species that inhabit this 64-acre wetland including the elusive American Eel and the Bermuda Skink. The Governor, Mr John Rankin CMG, Minister of Youth Development and Sport Nandi Outerbridge, JP, MP and Minister of Environment and Planning, Sylvan Richards, JP, MP, joined the walk and interacted with the participants. Bill Zuill, Executive Director of the Bermuda National Trust said: “The turn-out was wonderful despite the slightly blustery weather. This has been an amazing opportunity to introduce one of our most beloved nature reserves to so many of Bermuda’s new generation and we hope that they will remember this experience for years to come." 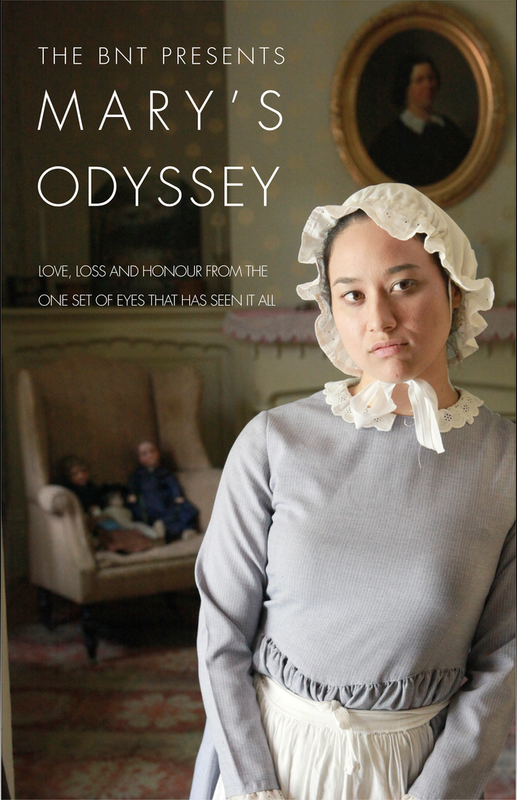 This week, Live History theatre kicked off at Verdmont with Mary’s Odyssey and Robin’s Redemption, two plays that bought stories of the past to life in our flagship historic home. Audiences moved through the house solving mysteries and interacted with characters from the part including Mary, an 18th century house maid and Robin, a 19th century town outcast. Speaking to The Royal Gazette,Jasmine Bowen, Live History founder and actor, describes the shows as a mix between live theatre and an “escape room”. Joined by local actor Adam Gauntlett, Bowen describes how she prepared for the role: “Working with the Bermuda National Trust to explore the history of Verdmont house, we customised our script to reflect stories that they felt needed to be focused on. We’ve made this events about the people who lived in Verdmont, telling their stories or filling in the gaps when history goes quiet. Take a trip back in time to Bermuda's past with immersive theater at Vermont, the BNT's iconic 17th century home. Step into the world of early 20th century Bermuda where mystery and intrigue linger following the death of the wealthy former owner of Verdmont historic house. Become immersed in a theatrical performance that sees you in a starring role. Follow clues and unearth secrets with the help of Robin, the enigmatic town outcast and your guide for this enthralling adventure. The Gladys Morrell table, a key symbol in the fight to get the vote for women in Bermuda, will go on public display tomorrow (Monday) after the Bermuda Historical Society successfully bid for the item at the Bermuda National Trust Auction on Saturday. The table fetched $6,000 after Mrs Morrell’s family chose the annual Auction as the venue for its sale, along with other items which had belonged to the civil rights icon. As an act of defiance against being denied their voting rights, the Bermuda Suffragettes refused to pay Parish Taxes which resulted in the seizure and subsequent auctioning of furniture belonging to the group. Remaining steadfast to their cause and refusing to back down, a band of suffragettes and their supporters attended these annual auctions where they bid on, won and returned seized items to their owners. In Gladys Morrell’s case, it was the same table every year until property owning women were granted the right to vote in 1944. That vote was a vital stage in the march to universal adult suffrage which was achieved 19 years later. On Saturday at the Botanical Gardens, the Bermuda Historical Society was successful in bidding for the table and Society President Andrew Bermingham said it will go on display at the Society’s museum in Par-la-Ville Park on Queen Street tomorrow (Monday). Mr Bermingham said: “We are absolutely delighted to have been able to acquire this item and I would like to thank the Bermuda National Museum for deferring this is to us as they were also interested in purchasing it. He added: “This iconic piece will remain on public view for posterity as a reminder of the role Gladys Morrell plated in ensuring the right of women to vote. She is one of Bermuda’s national heroes and we hope people will come and see this this piece of more modern history. The table was very old and valuable in its own right but it also has huge historic value. The family and the National Trust had specified that the table could only be sold to a local buyer so that it would not leave the Island. Said Trust Executive Director Bill Zuill: “We are very pleased that our friends at the Bermuda Historical Society were successful in bidding for the table, and for a tea set that belonged to Mrs Morrell and are thrilled that the table will now be used in telling story of women’s suffrage in Bermuda. In addition, an 18th Century cedar chest which had been in Mrs Morrell’s family for generations – along with the table – was sold for $6,500 to a descendant of the Gilbert family, for whom it was originally made. Some 300 items were auctioned at the BNT sale along with thousands of other goods at the Trust’s annual jumble sale held on Thursday and Friday. The Bermuda National Trust looks forward to celebrating Earth Day on April 22nd with a new collection of videos about Bermuda’s precious environment made by Bermuda’s own students. Inspired by the Bermuda National Trust challenge, students will have brainstormed, researched, interviewed, filmed and presented their views on the environmental impact of our actions and will have put forward recommendations for a greener lifestyle. The Bermuda National Trust, along with our sponsor Marshall, Diel and Myers, encourages our youth to put modern technologies into play as they create environmental videos expressing their concerns for today and their vision for tomorrow. We are inviting all students to participate in this year’s Earth Day Student Video Competition. They are encouraged to showcase their creativity, innovation and commitment to our natural and cultural heritage as well as to the future of the planet. Students can work individually, as a group or as part of a science/technology class, to create a two to four minute video. The video should relate to one of the following themes: ‘Remarkable Trees’, ‘Local Food, ‘What Does Earth Day Mean to You?’, ‘Getting Out Into Nature or ‘The Ocean Around Us’. Bermuda has many magnificent trees growing along road sides, in parks and on residential properties. Search for these trees and research their names and botanical characteristics. Ask questions such as: Where did they come from and why are they important for the Island, its people, animals and plants? What is the value of our trees? Today we have more imported and locally produced food choices than ever before. Research the food produced in Bermuda. You might want to interview friends and family about their food shopping and cooking. Is local food more expensive than imported food? How are the local farmers and fishermen doing economically in Bermuda? What are the traditional dishes of Bermuda? Why is it more environmentally friendly to eat locally produced food? Go for a walk or hike and record Bermuda‘s beautiful landscapes, plant and animal life. How do you feel when you spend time in nature, when you go for a walk and switch off from mobile devices? Think about how people are connecting the great outdoors? What are your favourite places in Bermuda and why? Bermuda is surrounded by the Sargasso Sea. Research the importance of it and its floating Sargassum Seaweed Community. You may want to interview a Marine Biologist and get his/her view too and discuss ways to clean and protect our oceans. Another topic could focus on the value of Bermuda’s reefs or the plastic debris that is pollution the oceans. If you are interested please contact the Bermuda National Trust by e-mail education@bnt.bm and browse www.bnt.bm/education to view videos submitted in previous years. Registration ideas for videos and guidelines are also listed on the webpage. The deadline for registration is extended to February 24th and the deadline for submittal is April 7th (education@bnt.bm). Submitted videos will be screened at a mini film festival day before Earth Day (April 21st, 2017), and will be featured through the Bermuda National Trust’s website and on local television. We encourage our youth to participate and Bermuda to listen to the voices of tomorrow, the future environmental stewards of our island home. BNT Events: Don't Miss a Thing! We are offering three film-making workshops for students 8 - 14 years old during the February break. Students may sign up for one, two or all three days. Young film makers workshop focusing on 'Remarkable Trees in Bermuda'. You will explore a National Trust property and the Botanical Gardens to create an interesting story about our special trees. Learn and tell the story of how we get what we eat and how to make healthy, sustainable choices. Learn how to create a video to share your news story. fun using toys, play-dough or drawings to tell your story about the meaning of Earth Day. Children and guardians will have the opportunity to experience nature first hand during the walk through Spittal Pond, one of Bermuda's most spectacular open spaces, as well as observe some of our cultural landmarks while they hear fascinating stories from the past. They will be taken along the route by the Trust's enthusiastic guides stopping at points of interest to learn about biodiversity, habitats, history, geology and conservation from the island's leading environmental and cultural experts. Not suitable for dogs, baby prams or very young children. Parking in the field behind Harrington Hundreds grocery store. The Children's Nature Walk is sponsored by Arch Reinsurance. Treat yourself to delicious baked goods, purchase plants guaranteed to spruce up your garden and get in with a chance to win one of our fabulous door prizes! ANTS volunteer days are aimed at protecting and preserving Bermuda's cherished places. This month we will be tending to the gazebo at the Royal Naval Cemetery. Also known as 'The Glade', the cemetery contains memorials to many Royal Navy personnel who died of the yellow fever that ravaged the British military in Bermuda during the mid-19th century. It also records the numerous accidents that befell the young servicemen in Bermuda. Join Bermuda's biggest recycling event! Say goodbye to the old and welcome the new-to-you. Whether you're moving house, redecorating or need to find new homes for unloved treasures, this is your chance to have a major clear out and support the Trust with this fabulous fundraiser. 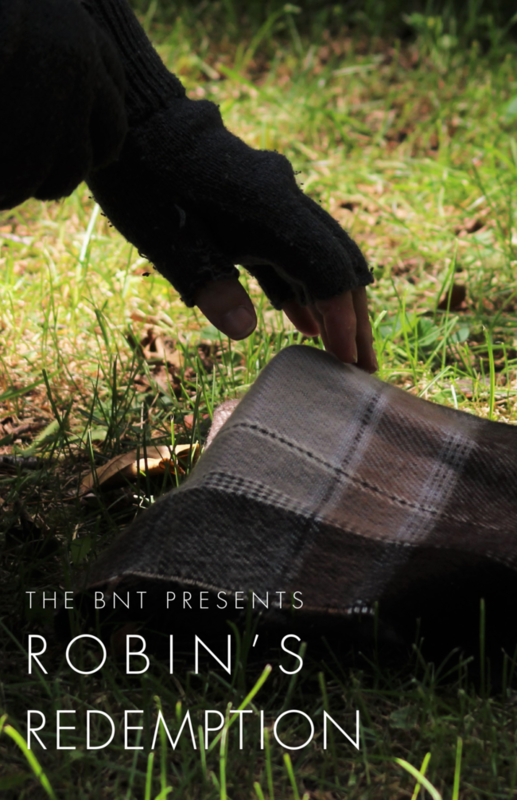 All proceeds go towards the BNT's continued work to preserve our natural and built heritage. We would love at least one outstanding item to showcase at our Auction!